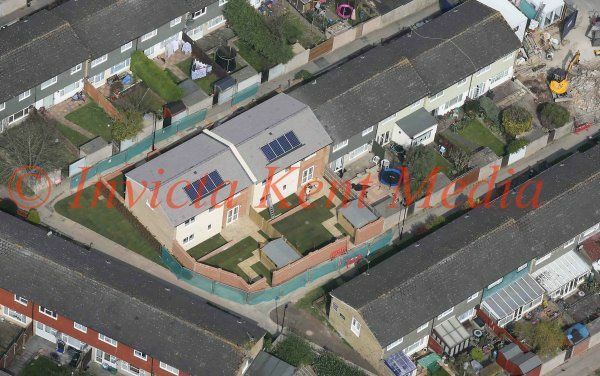 INVICTA KENT MEDIA: PICS SHOWS:-Aerial pics of New Houses Built on the Site Where Tia Sharp Was found Murdered in The Loft in New Addington Near Croydon. Two Houses Replace the Original Three. PICS SHOWS:-Aerial pics of New Houses Built on the Site Where Tia Sharp Was found Murdered in The Loft in New Addington Near Croydon. Two Houses Replace the Original Three.